Home Small Group Leaders Leader's Heart-Overflow Is It Well with YOUR Soul? As a shepherd leader, you are undoubtedly concerned about those you lead. You care about their souls. You pay attention to their spiritual conditions and want to lead them deeper with God. 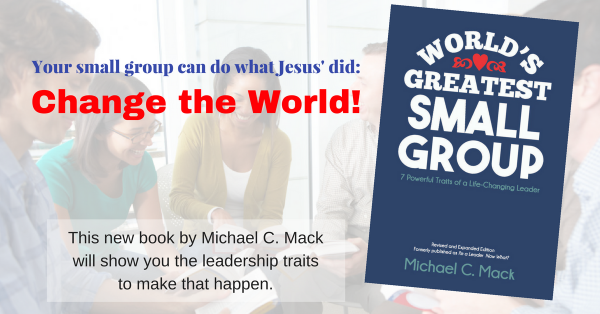 Being in a small group is—or should be—good for your soul as well. But I’ve found, through my own experience and from talking to other leaders, that this is not necessarily so. I felt like a liar as I sang those words. Because my soul has been troubled lately. I won’t go into all the reasons here, but, even as I sang, my soul felt . . . not well at all. It felt stressed, hurting, depressed, even lonely . . . as I stood in the midst of a bunch of fellow community and discipleship junkies. And I knew I was probably not alone. Allow me to digress for just a moment. When I take a step back and consider the big picture of my life, I realize how blessed I am. In the big picture, my soul is well. I have a strong relationship with my heavenly Father who loves me despite myself. He provides for me every day. I have a loving wife and four good kids. I have friends. My health is good. I could go on and on counting my blessings. But let’s face it: our many blessings don’t always add up to a soul that is well. I need more time with God in the “ordinary” disciplines of Bible study and prayer, perhaps extended time away from all my projects, to-do lists, etc. to be with God in a solitary place. I need more time with my friends—the opposite of the above. I need a both-and solution, and I’ve learned this is a symbiotic relationship. Both of these makes the other one stronger. I need more time doing some of the “out of the ordinary” types of disciplines. For me, this includes personal worship. Actually, I like to spend time on a regular basis worshiping God. Worship is a lifestyle, not an event. But I’ve learned that extended time in personal worship helps me more than just about anything else when it is NOT well with my soul. Let me briefly discuss that last one a little more. I try to find different ways to worship God. One way is to take a walk in a woods where nature sings to me the majesty of God, and I simply join in that worship. Another way is something I did this morning: singing praise and worship songs to God. To help me do this, I created a YouTube channel that I play in full screen on my laptop. I chose praise songs that help me focus on God, ones that include the lyrics so I can sing along. If you like this idea, you can view it below. I believe you can also subscribe to it. What other ideas have you used to attend to your own soul? Please share them below.